The New Zealand contingent included Keith Holmes, a committee member with the Waikato Regional Council, responsible for advising on integrated catchment management programmes and outcomes, ensuring provision of effective programmes and services for communities in their zone. 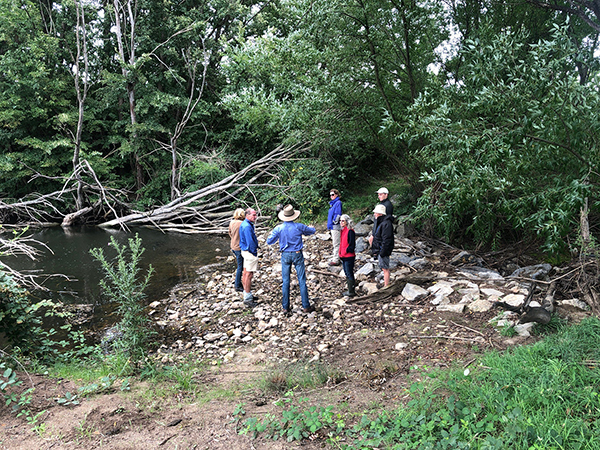 The tour visited the regenerated section of Mulloon Creek along with wetlands and soaks, and the step diffusion demonstration site that is restoring a steep eroded gully. Discussions involved how to read the landscape, how to restore water use and management, the application and management of plants to regenerate landscape functionality and productivity, and increase soil structure and fertility.